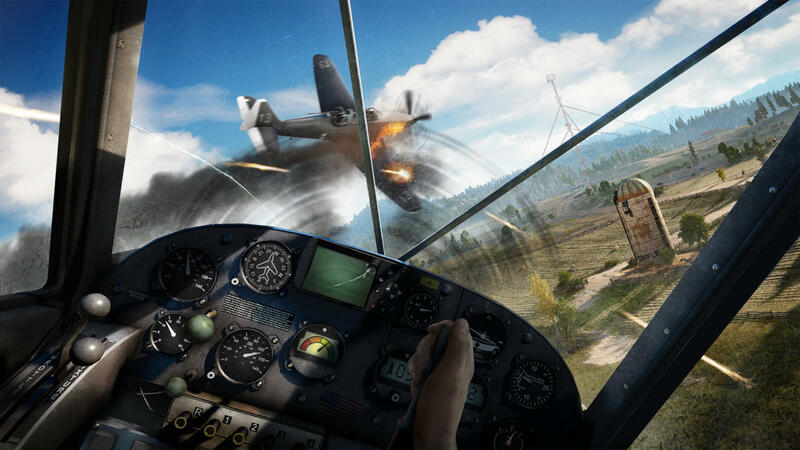 Sticking to the date provided earlier this week, Ubisoft has released the reveal trailer for Fay Cry 5, confirming that the sequel will be arriving on Xbox One, PlayStation 4 and PC on February 27, 2018. We’ve still got a long wait ahead of us before Hope County welcomes us through its gates, then, but no matter, there’s plenty of tantalizing new details provided with today’s info dump for us to sift through and digest. 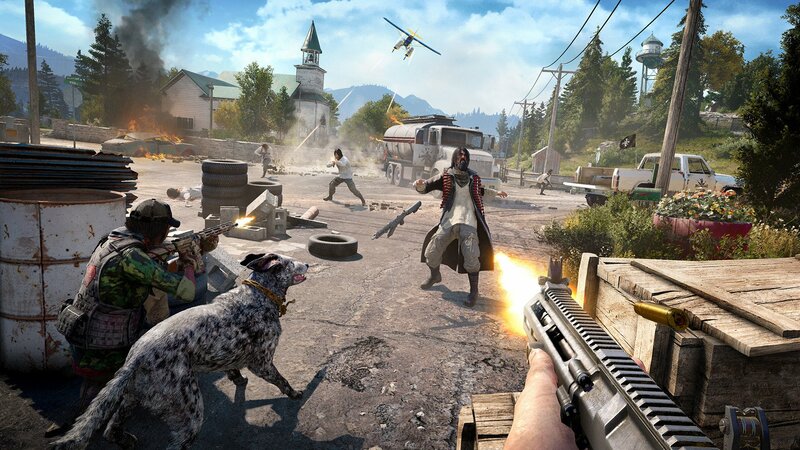 Top of that list is confirmation that Far Cry 5‘s campaign will be playable entirely in co-op with one other player, meaning you won’t have to go it alone as you attempt to weed out a fanatical doomsday cult that’s taken up residence in the idyllic countryside setting. You can, of course, still opt to go down the lone wolf route, but the introduction of co-op will, for a lot of people, make this a Far Cry title that can’t be passed up. Speaking of doomsday cults, we’ve already had our first glimpse of the group’s various members via a piece of previously released artwork, but now we know exactly what these nutjob’s motives are and the role you’ll play in bringing them to sweet, sweet justice. 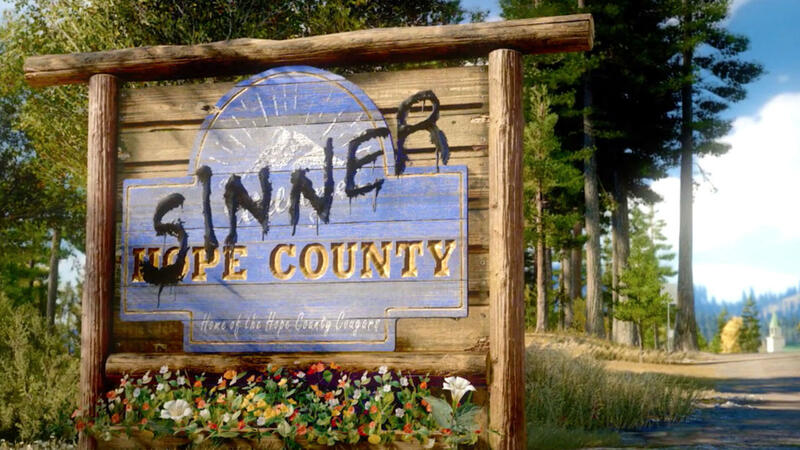 As the new junior deputy of Hope County, Montana, your arrival, says Ubisoft, “accelerates a years-long silent coup” by the Project at Eden’s Gate, sparking a power struggle between the innocents of Hope County and the fanatics. 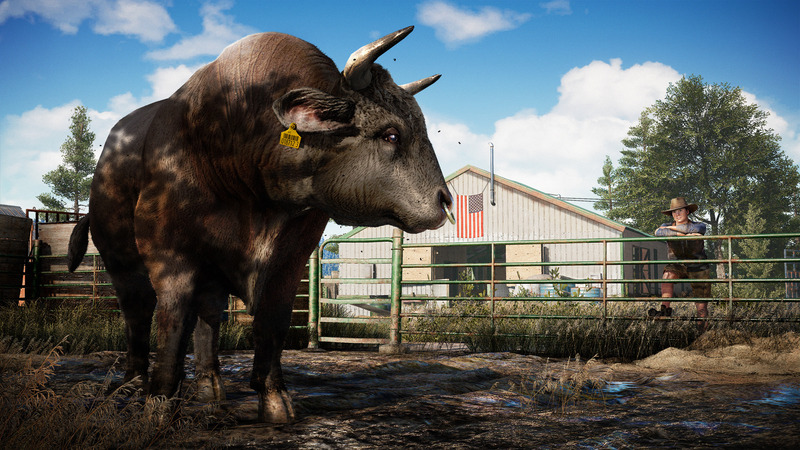 Besides having a potential friend along with you to fan the fires of resistance, you’ll find plenty of other aid in Far Cry 5 to facilitate the taking-back of the once-peaceful area, including a wide range of vehicles. 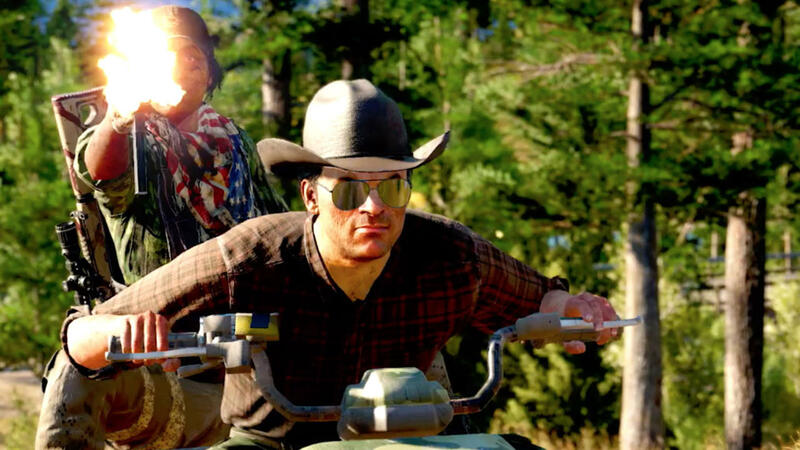 ATVs, boats, big rigs and, if you’re looking for style, American muscle cars are all yours to play with, as are a variety of melee weapons and firearms. For those times where a one man army just isn’t enough, though, you’ll also be able to employ the services of locals via Guns for Hire or, if you prefer a helping hand from nature, Fangs for Hire, which replaces squishy humans with the likes of bears and cougars. 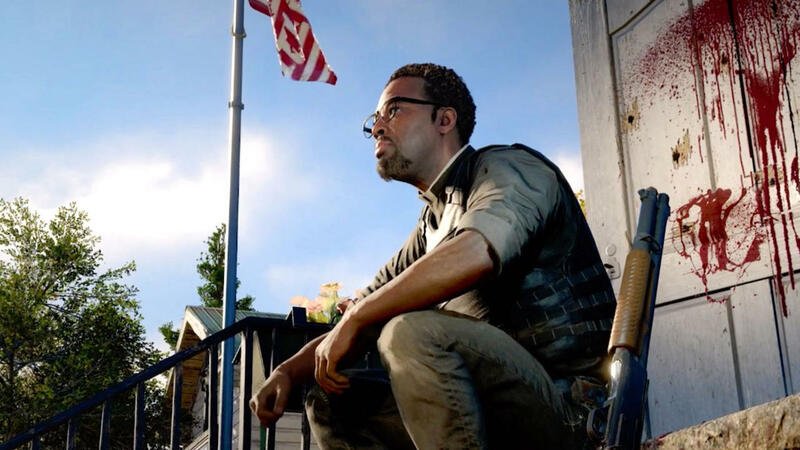 Last, but certainly not least, Far Cry 5 will mark the return of the map editor feature seen in previous entries, which will allow players to craft their own digital playgrounds for an infinite number of possibilities come February. That about wraps up everything we know so far, but if you’re already hungry for more, either check out the reveal trailer above, or find a selection of further trailers released by Ubisoft below, which go into more depth about the colorful cast of characters living in Hope County. Enjoy!